My trip to Spectrum Fantastic Art Live was met with a bit less than I had hoped for. I met with the artists and art directors that I had wanted to and had received really good feedback, but it seems on a technical level, I’m close but not quite ready for professional work, so I guess I’ll keep working at it. In the meantime, I will be trying to take better care of my physical and metaphysical conditions (which is what I hear all of my favorite pro-gamers say). 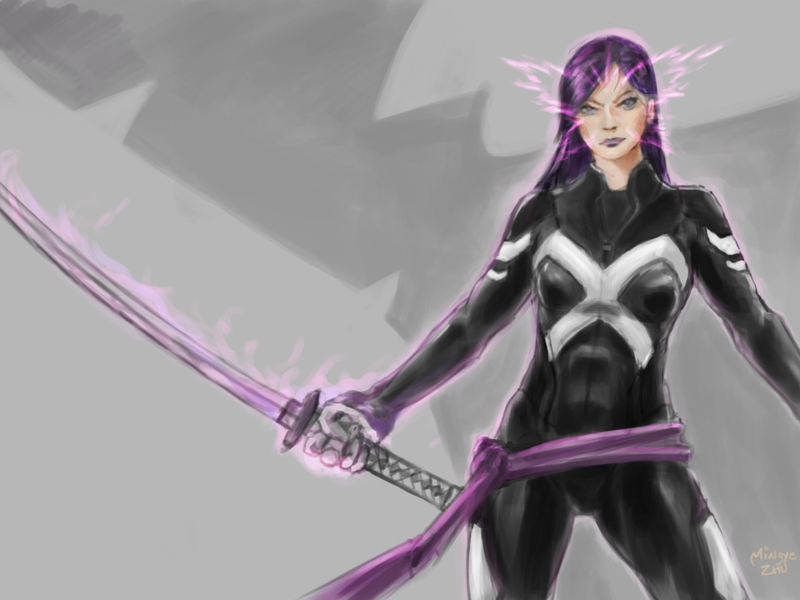 And the mutant known as Psylocke in her 2013 Marvel NOW costume. I’m a fan of Pyslocke’s new look in the 2013 Marvel NOW titles, it doesn’t detract from her femininity or sexiness while also not being overly pandering as some superhero outfits are known to do. I did this as a quick sketch while I was watching the DreamHack Open Starcraft 2 tournament yesterday. 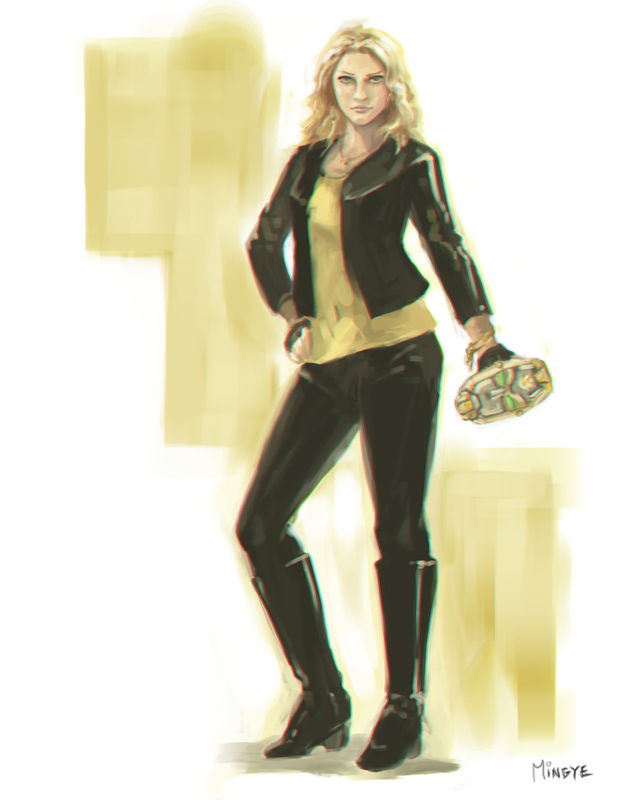 A quick digital sketch of Ciara Hanna in her portrayal of this season’s Yellow Power Ranger. I’m trying to build a small repertoire of faster paintings that I can use as samples to get some light commission work. 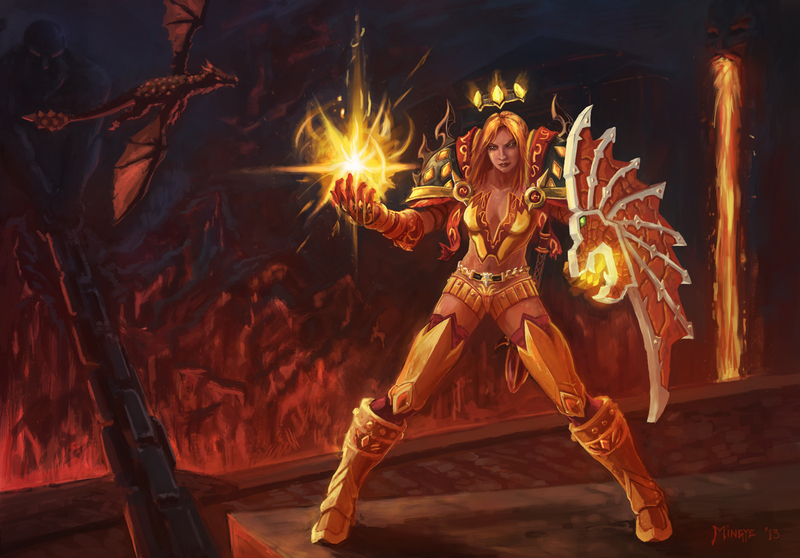 This was a digital painting for a friend of mine from World of Warcraft. I finished this one just in time for Spectrum, and while I had a lot of fun rendering a lot of the details, there were a lot of fundamental issues with it. Still, I feel like I captured the source material pretty accurately. My friend was pretty pleased with this painting of her character.